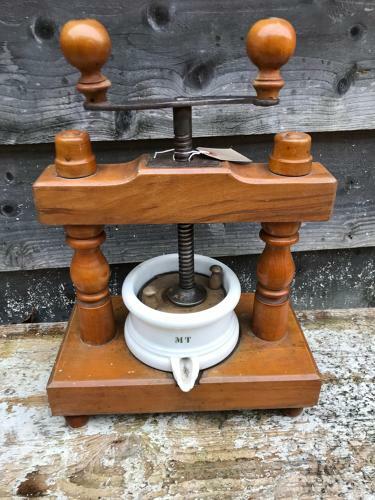 Lovely small kitchen antique French cheese press. Fruitwood with ceramic dish (slight damage to spout but not that noticeable) and marked MT. Very attractive piece ideal for dresser or windowsill.